Allergies are a problem that many people have. Your immune system is designed to differentiate between harmful and healthy substances. When the body encounters with the toxic compounds, it triggers an allergic reaction. Allergy rhinitis, which is also known as nasal allergy, is an allergic inflammation of nasal airways. It gives rise to symptoms such as a runny nose, blocked nose, and sneezing. These symptoms can also be mistaken for common cold, influenza. Some of the other symptoms of allergic rhinitis are nasal congestion, clear runny nose, sneezing, itchy nose and itchy, watery eyes. All this may lead to loss of smell and in some cases loss of taste. 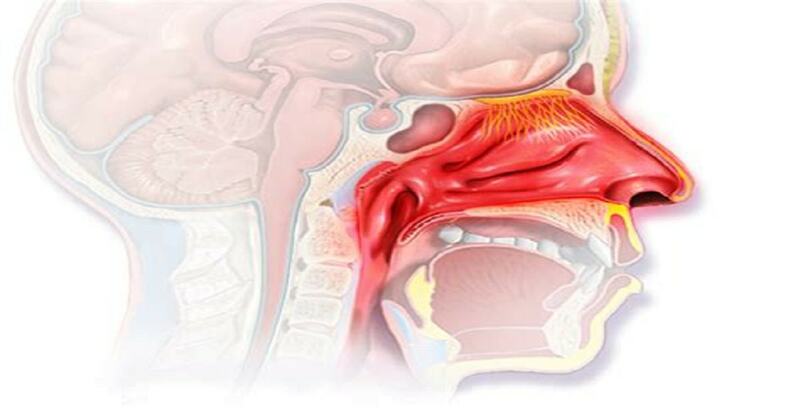 A blocked nose affects your sleep adversely. Who wants to wake up with a wet nose and a headache every morning? The uptake of the oxygen by your body will reduce, and this may lead to fatigue. Also, you cannot concentrate on activities during the day because you do not get enough oxygen which is the primary ingredient used by the body to generate energy. The primary and most common cause of allergic rhinitis is an allergy to pollen. The seriousness of the allergy depends on the concentration of pollen present in the air. Plants release more pollen in a warm environment than in the cold environment. A windy day also causes the pollen to spread in the air, and the allergic person is exposed to it. But on a rainy day, the pollens are washed off from the air. The air becomes fresh and cleans after the rain. Air pollutants will also enhance the allergy because of the allergens. There are two types of air pollutants. Outdoor pollutants consist of automobile exhaust, domestic heating, and gasses released from industrial work. Indoor pollutants include tobacco smoke, wood burning, furnishings, and heater. Another cause for this allergy can be house dust mites. Plants tend to release pollen in the morning and at night. That is the reason allergy in morning and night is worst. When the pollens are inhaled, the body treats them as foreign bodies that cause the immune system to release antibodies and fight the allergens. Allergies can be difficult to people with asthma. The airways are narrowed making breathing difficult. Allergic rhinitis is treatable, but not curable. So try to stay protected by staying indoors or in air-conditioned rooms during pollination time or haying season. Dust and vacuum it frequently to avoid the accumulation of dust mites. Clean your air filters regularly and keep all the doors and windows closed. All this controls the pollen levels at home. Consult a doctor and take necessary medication. Stay indoors, especially during morning and at night. Doing outdoor exercises may be fun. To stay away from these allergies do your exercises indoors. Wear an allergy facemask while doing gardening and have a bath thoroughly after any outdoor activities. Avoid exposing yourself to pollens to avoid this allergy. Stay safe! You can prevent allergic rhinitis by following all these cautionary measures. Moreover, the symptoms and causes may vary from one person to the other and hence you must observe the timing and the period when you are more affected by this type of morning allergy. It will help you avoid exposure to the specific allergy-causing elements and keep allergic rhinitis at bay.